GestCívic has been invited to give a conerencia on ‘The social architect: the importance of social processes in basic housing assistance. “This conference is in the framework of the Culture Week organized by the Student School Architecture of Madrid (ETSAM), with the support of the Foundation Habitáfrica . 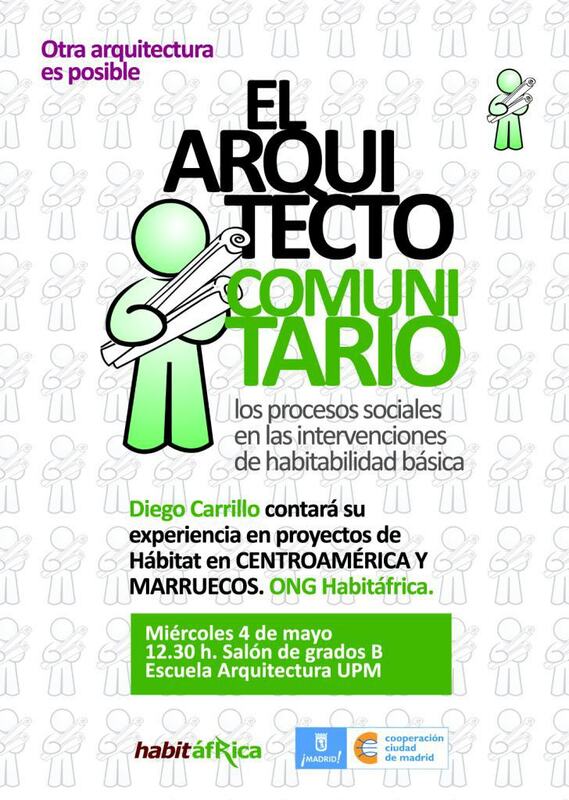 On Wednesday 4 May, at 12h30 also in the Graduate Hall School of Architecture, the architect Diego Carrillo (GestCívic) will talk about “The social architect: the importance of social processes in the basic housing interventions” baseed on his experience in abitat interventions in Central America and Morocco.